Solodex™ IV Infusion is indicated when there is combined water and sodium depletion occurs. It provides Dextrose as a nutrient in a suitable medium of Sodium Chloride which is isotonic to body fluid, or it may also be employed as a source of isotonic Sodium Chloride or both. It is usually used in the maintenance and replacement of fluid, electrolyte and carbohydrate in patients who are unable to take fluid and nutrients by mouth e.g. in case of persistent vomiting, during and after surgery, shock or accidents. Dose is variable. It depends on the clinical condition, age and body surface area of the patients. 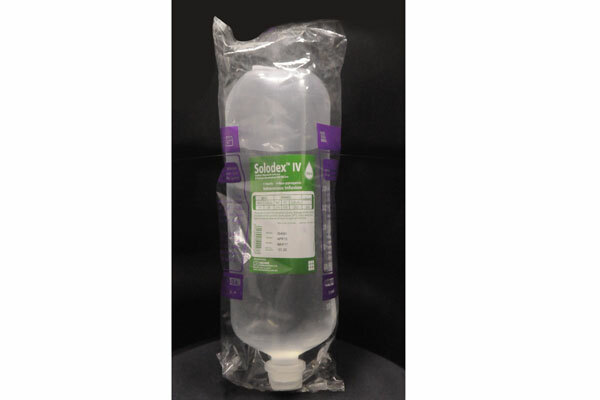 Solodex™ IV Infusion, 1000 ml: Each 1000 ml PP bottle contains solution of Sodium Chloride BP 0.9% w/v and Dextrose 5% USP w/v. 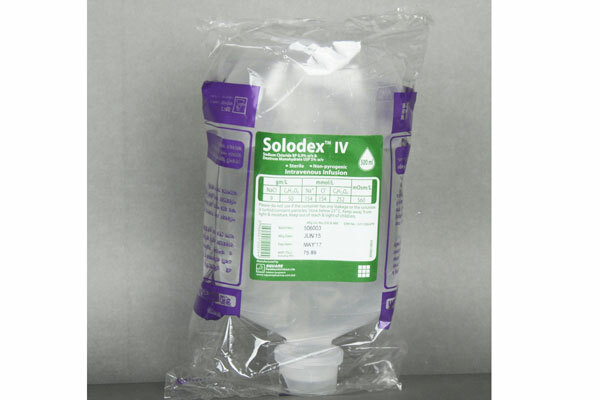 Solodex™ IV Infusion, 500 ml: Each 500 ml PP bottle contains solution of Sodium Chloride BP 0.9% w/v and Dextrose 5% USP w/v.